Show us (your) 80's mountain bikes ! 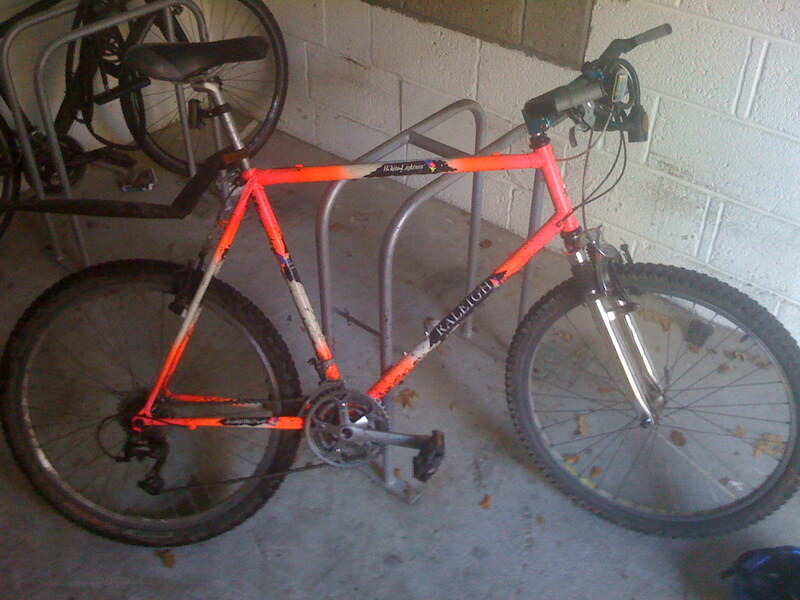 Post subject: Show us (your) 80's mountain bikes ! Most of the bikes seen on RB were made in the nineties. So let's see those machines from the decade before even if they're not yours and even more so if they're from the early to mid '80's (lugs, high rise stems and/or handlebars, slack angles). And here's two bikes that once were viewable on RB but whose pics have "vanished" from the forum. Last edited by karlomanx on Thu Oct 13, 2011 10:14 pm, edited 5 times in total. There are no mistakes, only learning curves. That's just beautiful, doubt we'll see too much to outclass that in this thread, I was going to put up my '86 RM Ritchey, but it doesn't come close to that. Thanks for the kind remarks on the Blizz. I'm pretty sure there are plenty of 80's bikes on here that could give it a good run for it's money. Post up your Ritchey; I have a soft spot for them. 89 Raleigh White Lightning with lugged Reynolds frame.